আমি, এই ভগ্ন হৃদয়ের প্রেমিক, অশ্রুভরা চোখের মুহিব্বি (প্রেমিক), আমিই তো সুখী।"
↑ Leslie P. Peirce, The imperial harem: women and sovereignty in the Ottoman Empire, Oxford University Press US, 1993, আইএসবিএন ০-১৯-৫০৮৬৭৭-৫, pp. 58-59. ↑ ক খ The Speech of Ibrahim at the Coronation of Maximilian II, Thomas Conley, Rhetorica: A Journal of the History of Rhetoric, Vol. 20, No. 3 (Summer 2002), 266. ↑ Kemal H. Karpat, Studies on Ottoman Social and Political History: Selected Articles and Essays, (Brill, 2002), 756. ↑ ক খ গ Elizabeth Abbott, Mistresses: A History of the Other Woman, (Overlook Press, 2010), . ↑ Kinross, Patrick (1979). 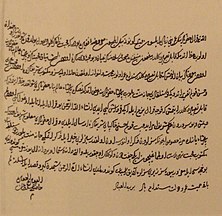 The Ottoman centuries: The Rise and Fall of the Turkish Empire. New York: Morrow. আইএসবিএন ৯৭৮-০-৬৮৮-০৮০৯৩-৮. p, 236. ↑ Mansel, Phillip (1998). Constantinople : City of the World's Desire, 1453–1924. New York: St. Martin's Griffin. আইএসবিএন ৯৭৮-০-৩১২-১৮৭০৮-৮. p, 86. ↑ ক খ গ Leslie, 55. ↑ Imber, Colin (2002). The Ottoman Empire, 1300–1650 : The Structure of Power. New York: Palgrave Macmillan. আইএসবিএন ৯৭৮-০-৩৩৩-৬১৩৮৬-৩. p, 90. ↑ Frederick A. de Armas "The Allure of the Oriental Other: Titian's Rossa Sultana and Lope de Vega's La santa Liga," Brave New Words. Studies in Spanish Golden Age Literature, eds. Edward H. Friedman and Catherine Larson. New Orleans: UP of the South, 1996: 191-208. Thomas M. Prymak, "Roxolana: Wife of Suleiman the Magnificent," Nashe zhyttia/Our Life, LII, 10 (New York, 1995), 15–20. An illustrated popular-style article in English with a bibliography. Zygmunt Abrahamowicz, "Roksolana," Polski Slownik Biograficzny, vo. XXXI (Wroclaw-etc., 1988–89), 543–5. A well-informed article in Polish by a distinguished Polish Turkologist. Galina Yermolenko, "Roxolana: The Greatest Empresse of the East," The Muslim World, 95, 2 (2005), 231–48. Makes good use of European, especially Italian, sources and is familiar with the literature in Ukrainian and Polish. Galina Yermolenko (ed. ), Roxolana in European Literature, History and Culture (Farmham, UK: Ashgate, 2010). 318 pp. Illustrated. Contains important articles by Oleksander Halenko and others, as well as several translations of works about Roxelana from various European literatures, and an extensive bibliography. There are many historical novels in English about Roxelana: P.J. Parker's Roxelana and Suleyman (2012); Barbara Chase Riboud's Valide (1986); Alum Bati's Harem Secrets (2008); Colin Falconer, Aileen Crawley (1981–83), and Louis Gardel (2003); Pawn in Frankincense, the fourth book of the Lymond Chronicles by Dorothy Dunnett; and pulp fiction author Robert E. Howard in The Shadow of the Vulture imagined Roxelana to be sister to its fiery-tempered female protagonist, Red Sonya. There have been novels written in other languages: in French, a fictionalized biography by Willy Sperco (1972); in German, a novel by Johannes Tralow (1944, reprinted many times); a very detailed novel in Serbo-Croatian by Radovan Samardzic (1987); one in Turkish by Ulku Cahit (2001).